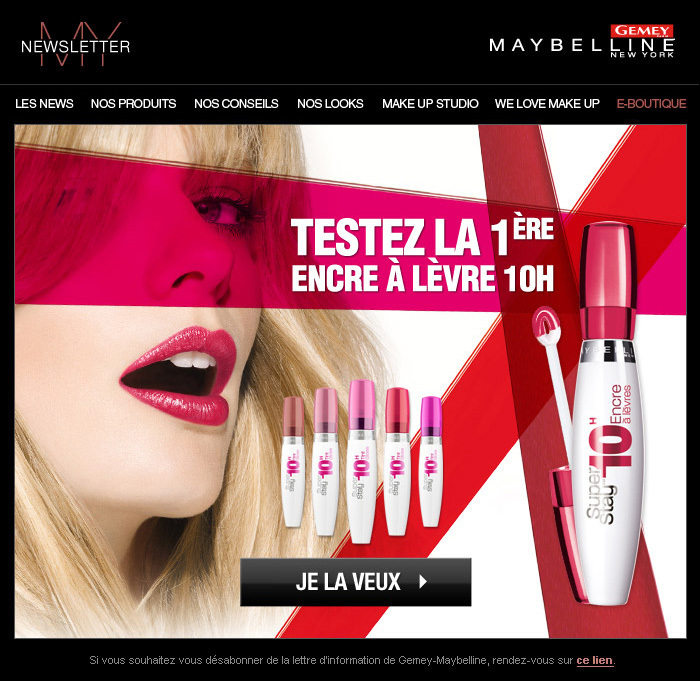 Gemey-Maybelline French Newsletters are weekly emails sent to all french subscribers (up to 2 millions). Sharing news products and events around the Gemey-Maybelline brand. It’s the most important part of brand budget for digital communication (around 2.5%). 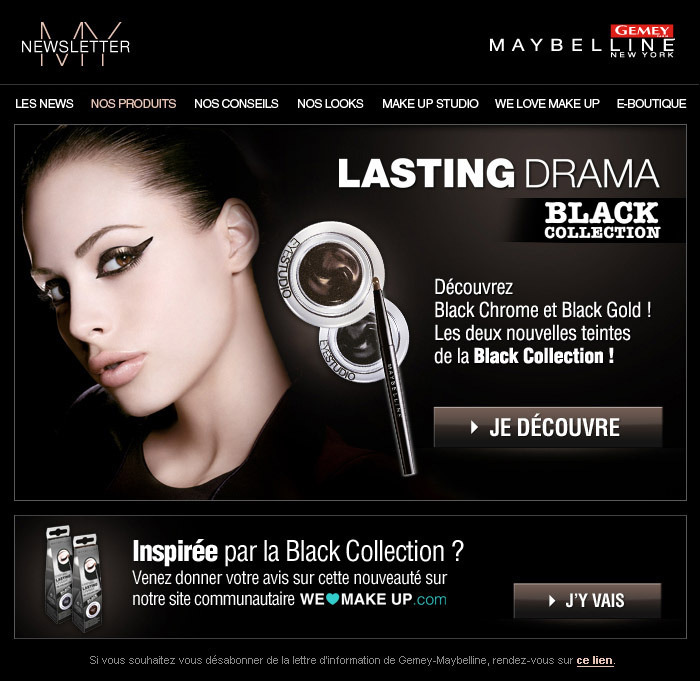 Gemey-Maybelline needed a solution to produce newsletters more efficiently, and decrease the cost production. In addition, the goal was to improve the click-through rate (CTR). I proposed quality and streamline-oriented templates, based on smart graphic rules. Very ease to identify for the customer, and very ease to modify for the graphic designer. With these new graphic rules, a newsletter could be made in 1h and 30 minutes maximum. Before that, a designer needed 4 hours to create a newsletter. In results, graphic design unit is became more profitable. Five positions worked on this project : Sale Manager, Project Manager, Art Director, Graphic Designer and Front-End Web Developer. Graphic designer needed to produce a efficient graphic proposal, in one shot. Web front-end developers needed accurate guidelines streamline-oriented (lean production). The biggest challenge has been to cope with a lower budget. Top priority was to reduce costs without decrease in value the final product quality or client satisfaction. We had to deal with the most common client habit : massive corrections during production. Solution : I built three “ready-made” templates (one, two and three blocks) and the project management unit made a deal with the client (two maximum changes for each newsletter). Art direction & Lean production. I was responsible for graphic trends definition, template interface designing, streamline definition and final product quality (based on my own global guidelines definition). I created a dedicated logotype and also declinations for several product variations. 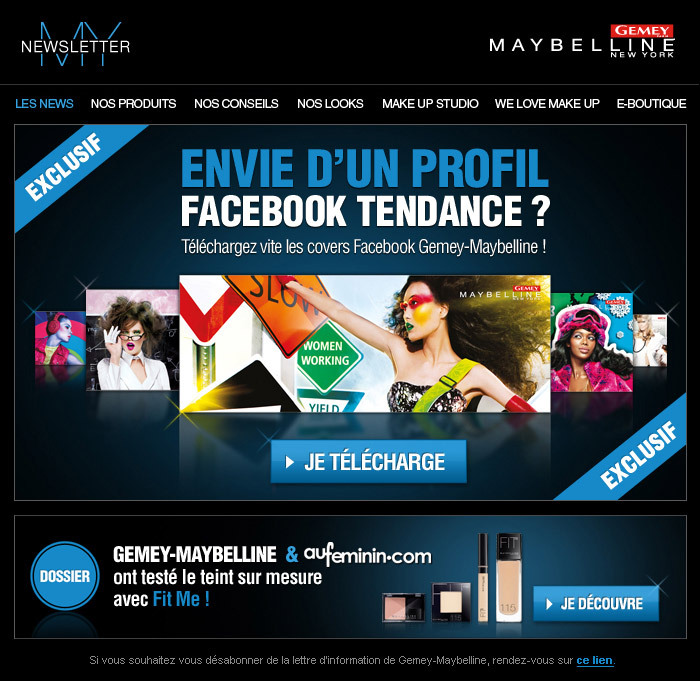 © Mediagong Leo Burnett/L’Oréal – Charte Newsletter France Gemey-Maybelline 2010/2012. Conception et direction artistique : François Soulignac. 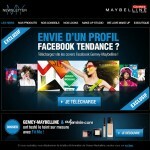 Digital Guidelines Newsletter France Gemey-Maybelline 2010/2012. Design and art direction : François Soulignac. This entry was posted in Digital Art Direction and tagged Art director, Charte graphique, Communication, Gemey-Maybelline, Graphic guidelines, Graphics standards, Hi-fidelity wireframes, L'Oréal, Lean management, Lean production, Newsletter, Web, Web Digital Art Direction by François Soulignac. Bookmark the permalink.